Patrick and his friends enjoying big blue with their Kayaks. 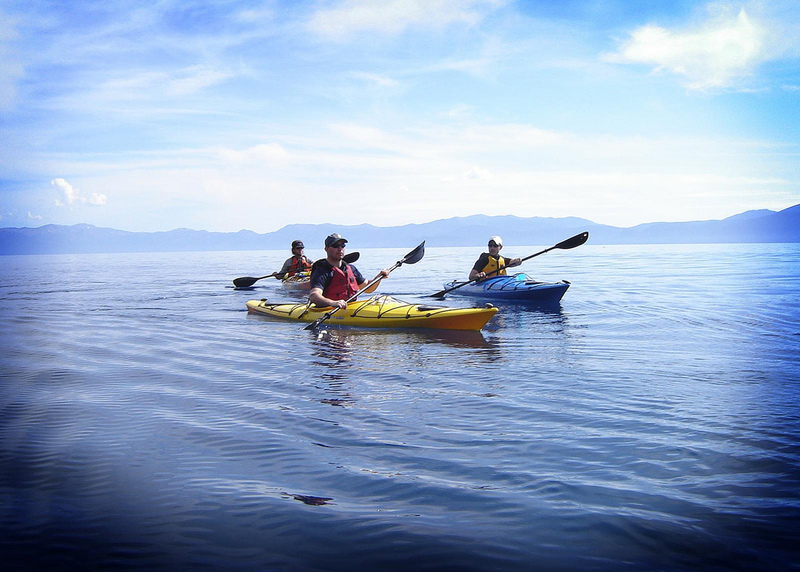 Kayaking is a definite workout, but like most outdoor activities in South Lake Tahoe, it’s so fun! Kayaking is something you can do for just about anything. Just vacationing in Tahoe with the family or looking for some outdoor romance with your lover, Tahoe Kayaking is a great fit for any occasion. Kayaking in Tahoe is easy, you can bring your own out to the water or rent one for the day or a couple hours. If you live in Tahoe, then you probably already know how amazing Kayaking on big blue is, and if you’ve never done it, then you better get on it. Great for photo’s, but more importantly, when you head out into the water, you’ll go breathless with the scenery. All the rental shops in South Lake Tahoe are run by enthusiast, people who love the outdoors and are more then happy to answer your questions and get you ready for kayaking in Tahoe!